Countless times since starting this blog I have been accused of being privileged and clueless and white, and when I am told this about myself my only stance ever is to agree with my reader wholeheartedly. I am all of those things. In fact, I would venture to say that I am more privileged even than some people who read me imagine. Last week the hardest decision I was called upon to make was between the salmon and the tuna sashimi. Both looked delicious; it was a tough call. I have also been told I write exclusively to and for white people, another statement which is 100% on the button. The thing is, I am a white person (if you don’t believe me there’s the flattering About pic my husband took of me one summer when all I’d eaten that month was air) and I suspect that if I were to try writing authoritatively about what it feels like being poor and black I’d ignite even more ire than I already do. So, mostly I stick to what I know which is where to get good sashimi, and sometimes I go out on a limb and try to learn something which is slightly out of bounds of your average white, privileged South African experience. Just sometimes. Other times, I sit on my deck and drink Pinot Noir. But this particular time – maybe The Grand was full, I can’t remember – I thought it would be good to try Something Completely Different and go for lunch in Dunoon. Dunoon (for clueless white Pinot Noir -drinking people like me) is a township out Tableview way. A lot of people live there, but not many of them are white. In fact, I believe only two are and their names are Howie and Melissa. When you’re a middle class (white) person, living in Dunoon is not something you would really do. You would live in Kenilworth and try hard to slowly edge your way towards the Atlantic Seaboard. Sometimes you will only make it as far as Rondebosch East, but that’s okay, some of the best schools are in that area. So, me being me and the day being open, I thought it would be interesting to go and visit Howie who is a friend of a friend and ask him what it’s like living amongst all those black people. So, off we went in our tinted-windowed SAAB with pepper spray close at hand and a taser gun in the cubby-hole and the cell phone number of the head of Sea Point police station on speed dial (not really, but the last thing is true. See, I’m white and connected). And when we got there we had some coffee and attended a short church service (Howie is a pastor) and then went to his house to braai, except the braai part didn’t happen due to circumstances beyond our control. But even though we managed to spend no longer than half an hour at Howie’s house, in that short time I managed to ask him a lot of questions and he told me how things roll in that neck of the woods. And it was an interesting conversation which made me question all kinds of things about the way I live, and his words stayed with me for a long time. This is what he said (in my words, because I didn’t have a recording device with me. I was worried it would get stolen). You know the hunk of cheese in your digs fridge with the Post It that says something along the lines of Touch This and Breathe Your Last Breath? Not so much of a Post It happens in Dunoon. What happens is that the guy who has money buys food and puts it in the fridge. This food is for anyone and everyone who is hungry. In the evening the person who worked that day and has some dosh cooks a single pot of meat and potatoes and vegetables. When it’s just about serving time people from the neighbourhood will drop by. Sometimes 10 people will come. One time there were 20. The food gets divided evenly amongst every human being. If that means the person who bought and cooked the food goes without, so be it. They will wait till the last guest has left and make themselves some porridge. Or not. It’s just the way it is. When Howie moved into the house he shares with three other guys he imagined rent would be divided equally each month. When it was explained to him that that’s not the way it works: if someone doesn’t have money the ones who do, pay, he was dismayed as he assumed it would be him coughing up extra each month. In reality, the opposite occurred. One month he simply forgot. Nobody reminded him, his housemates just assumed he was broke and covered the shortfall themselves. I remember when I was a student my housemate (who had plenty of money) split everything in half down to the last 20 cents. It’s a kak way to live. Since toilets are generally a scarcity in a township, you make yours available to whomever might need it. It’s 3am and your neighbour ate a bad smiley? You’ll know all about it. At any time of the day or night if the people in Howie’s road need a widdle they help themselves. So, the bedroom he shares with three other guys doesn’t have a door and everyone is woken up all night long? Welcome to the reality of poverty. Their bathroom doesn’t have plumbing either, by the way, so you make do with a bucket of water and a little cup for rinsing your hair. Long, hot showers to warm you up in winter? Maybe in your next life if you gather up some really good karma. Howie ‘only’ shares his modest bedroom with three other guys. They are lucky; they all have jobs. This means the lounge can be used as the lounge – a shared space to hang out, play the guitar, read or entertain guests. But many of these small houses host 10, even 20 people who occupy every square inch. Getting away from the noise and chaos is impossible. There is no privacy; no quiet corner to unwind and re-group. In order to be alone you have to leave, but where do you go? Howie is lucky, he has a car and when it all gets too much he takes himself to the beach, but most people don’t have cars, nor extra money to waste on a taxi fare out of the township. You just deal with it. It’s that, or living on the street. Not much of a choice, huh? Think about this: everyone has to be out the house early in order to factor in the +-1,5 hours it takes to get into the city in buses and taxis and on foot to arrive at work on time. This means, in many households, competing with at least 10 people for the loo, for running water to wash and brush your teeth. It’s nothing short of a miracle that people who live like this arrive at their jobs, day after day, smelling nice and wearing clean clothes. The mind boggles at the organisational skills and determination this must require. Imagine trying to get a good night’s sleep so you can write your exam the next day when you’re sleeping on a floor next to nine other people. Imagine, in a wet Cape winter, trying to wash and dry your only suit so you look good at the next day’s job interview. Trying not to get sick and miss work when all your housemates are coughing and sneezing and everything in your house is wet and you haven’t eaten properly and you can’t open a window to let in fresh air because it’s too damn cold and you don’t have electricity or a heater. The middle classes in this country? We live like kings and queens. When we venture out of our front doors we mustn’t forget this simple truth. So, that was one home in one township, and implying that that’s the way it works everywhere would be silly. But it is the way it works there and since everyone who lives in the area is poor, more than likely this way of living together is not unique. And when I narrated this story to my student who lives in Langa he thought it was weird that I thought it was weird. For him, it was normal. It made me think a little bit about how selfish I can be and how unthinkingly I accept the luxuries of life as my right. How I can have a cadenza when the loo in the en suite bathroom is blocked and I have to walk to the other side of house. How secretly annoyed I get when the person I’m sharing the sushi platter with helps himself to the last salmon rose. There is a lot to be learnt from putting oneself in unusual places. I highly recommend it. It helps a little bit to cure the stjoepids. Disco Pants and the Mountain was one of the first blogs I turned to when trying to learn something of the country to which I would eventually move. Here, the author takes us into a township along the coast north of Cape Town. Thanks so much, David! Am enjoying following your journey. I hope we manage that glass of wine sometime. When I think of lifestyle we had 30 years ago in Cape Town I actually cringe with embarrassment. 4 bedrooms/3 bathrooms ultra modern sleek white house, covered in Virginia creeper. Two cars, two daughters at a private convent school. Well paid job for my husband and me, a ‘lady who lunched’. How I took thing for granted. Maggie, my maid, came to do the ironing and vacuuming twice a week and all was good in the world. (for me). I was aware and deeply ashamed of the deprivation of my black brothers and sisters, but hey, what could I do. Leave, thats what I had to do. After the diagnosis of MS for my husband, panic set in. The breadwinner had the medical insurance. No breadwinner, no insurance. British born, African raised, we set sail for the UK. 4 large suitcases, no job, no home, but the security of the NHS is all we had. We had faith in God and nothing else. Over the years I learnt about deprivation. Homelessness, death and hardship became my way of life. Here I sit, age 66 in a sheltered accommodation, widowed, disabled, posting pictures of my beloved Cape Town on Facebook at every opportunity. My daughters are thriving, more English than the English, completely and utterly anti-racist. The best thing I have ever done for them! Your daughters are thriving, and you live in sheltered accommodation? Are they no help or just thoughtless? Norman, by thriving I mean they are well adjusted to their situation. None of us have any money, and they have two children each. Through the hardships we have become very close. I was trying to say how I took my privilege for granted. Things can go wrong when you least expect it. Passive racism, of the kind the liberal whites experienced in the 70’s and 80’s is an enduring embarrassment in my memory. I understand now. Indeed. Be well and enjoy the new year and your family. I have missed you!! I think you have a wonderful view of the world and I admire how you will always try to put yourself in other people’s shoes, Pinot Noir and all. Thank you for sharing this story and this sentiment – it is good to remember when I fight over salmon roses too! Such a thought-provoking post. I really needed to read this today. Thank you for your way with words and your thoughtful way of life. Phenomenal piece. It made me laugh but it also made me think just they way a great article should. Keep writing/typing even if holding Pinot in the Other hand. I have also missed your blogs, you say what all of us feel. I think we are scared of the unknown but we shouldn’t be. Such thought provoking blogs. Have missed your posts wish they came more often, always thought provoking but caring, great gift. I can’t believe people would make comment about what you write, who you are , and what you represent. They must be small minded peeps, with little else to do. Do what is write/right for you I say! Thank you so much, Ruth! You’d be amazed at how much of a grilling one gets, even for the most inane posts :-) Thanks for these sweet words, really. Excellent once again. I’d really like to meet you and hope you venture into coloured townships too. I’d give you a tour and some history. I have a 93yr old granny who can tell stories and it’s cool to hear her perspective. Which could surprise you. Hi Gilbert, it has taken me 3 months to reply to you (and everyone :-)), but I have kept your words in mind. I would love that. Please send me an email? I’m on susanannehayden@hotmail.com. Your granny sounds like my kind of human. Susan, you are brilliant. Thank you. Have a good 2016.To those in the townships too. Even more so. Beautifully written. In a privileged life one doesn’t often enough stop to think how different things are for others. Absolutely, Christina. Thank you for commenting. I have much love and respect for you. 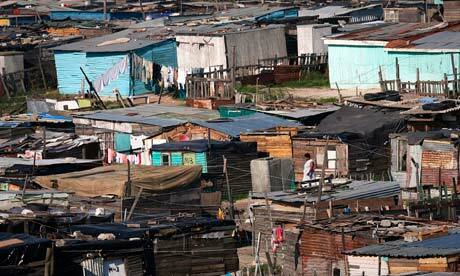 “Township” is just a fancy word for shanty-towns. We have townships in the US and it looks nothing like this. It seems that criticism of you is misplaced since, as you say, you ARE a white, privileged woman. “Write what you know” is the advice given to writers. Good for you for stepping out of your box and educating your readers. Your empathy shone through your heartfelt piece. Keep writing! I love your writing style and humour. You are my hero!! Love this! She has a unique writing skill…Suzan Inspires me. You’ve made me laugh and cry – Keep up the excellent work!